The German Honey Cake is easy to prepare and always appreciated for breakfast during the Christmas Season. Spread some butter on top to enjoy it even more. 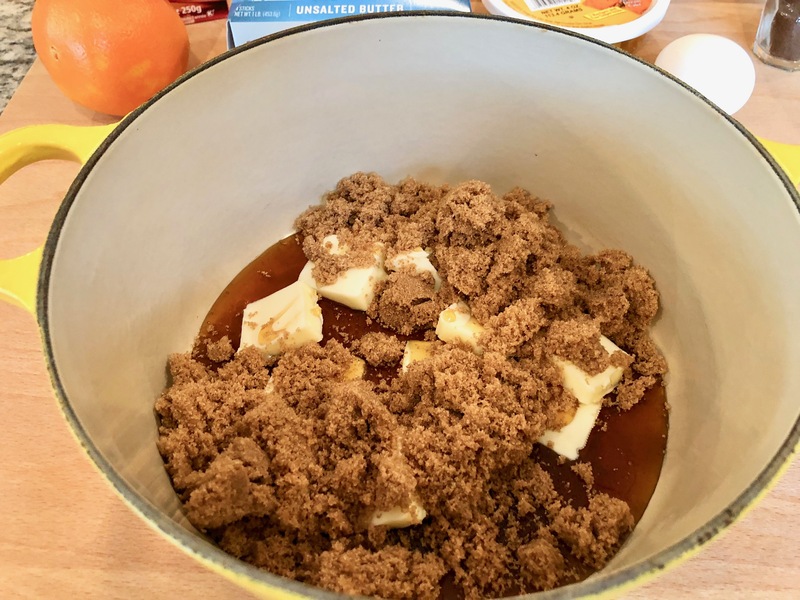 Add the butter, honey, and sugar to a saucepan, heat it up on medium heat until the butter melts, and the sugar is dissolved. 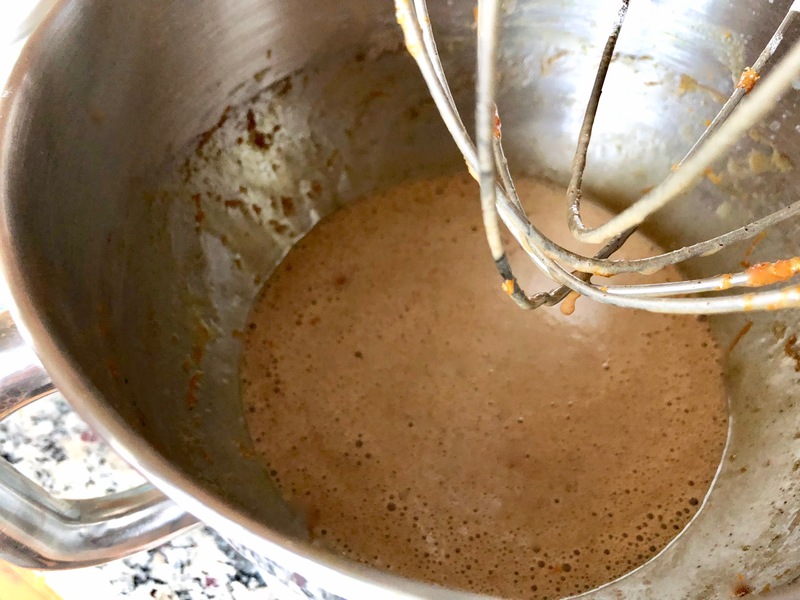 Transfer the honey mixture immediately into a bowl and let it cool down. Dissolved the baking soda in 1 tablespoon of water and add it with the spices, and orange zest to the bowl. Beat with a handheld electric mixer to combine the ingredients. Add one egg at a time, and beat. 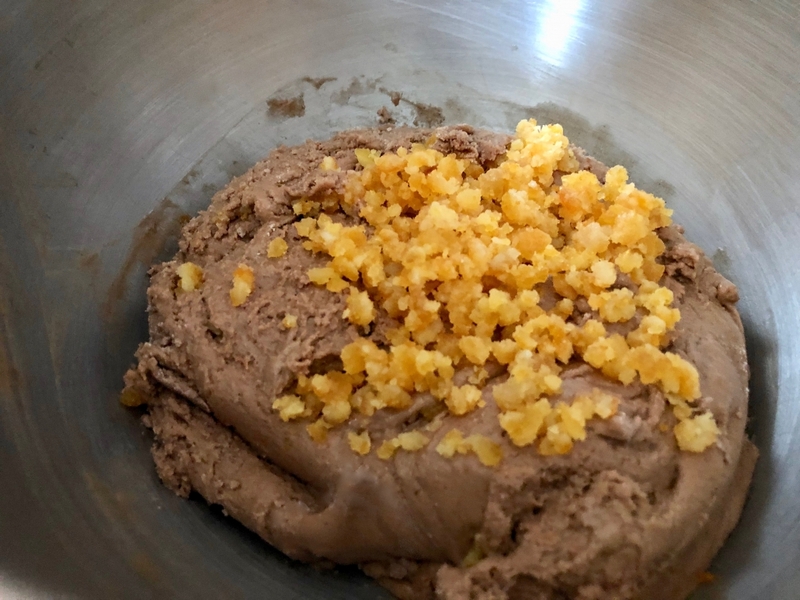 In a separate bowl mix the flour and cacao and sift over the honey mixture. Slowly add the milk. Spread the chopped orange peel on top and knead the dough with the kneading hook of a stand mixer or electric hand mixer. Continue kneading with the hands. If the dough is too sticky, cover the hands with flour. Place the honey cake into a buttered loaf pan (I used 11 x 4.5 inches). Preheat the oven to 160°C–170°C (320°F-340°F) and bake the cake on the middle rack for 45-50 minutes. The honey cake can be served without any topping or decoration. I like to decorate it for the children. My grandchildren always love the colors on the cake. Brush some melted butter (2-3 tablespoons) immediately after baking onto the cake and sprinkle colored sugar on it. After the cake cooled down, sift some powdered sugar on top. Wrap the cake in aluminum wrap and let it rest for 2-3 days before serving. To try the German Gingerbread Elisenlebkuchen click here, the German Pfeffernuesse Cookies click here and the German Marzipan Cookies Bethmaennchen click here.